Greetings, everyone! 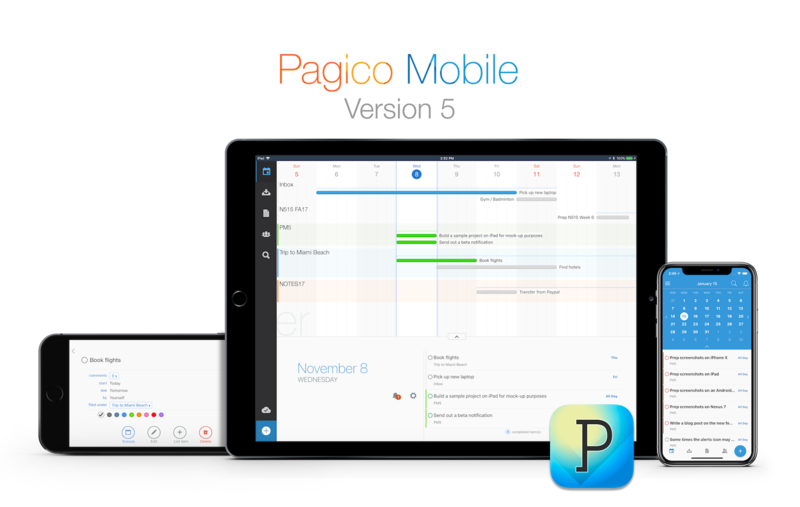 Today we’re excited to let you know that the next major update to the mobile app, Pagico Mobile, will be released on January 29 to both iOS and Android. 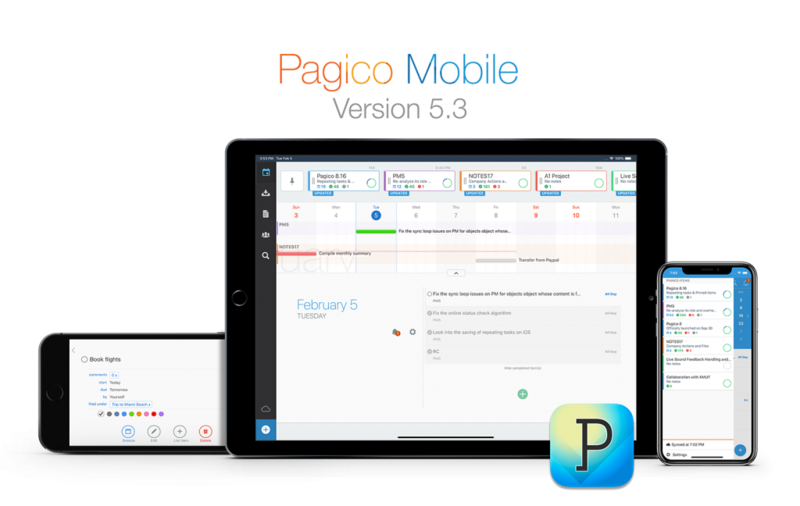 Being a complete redesign of the predecessor Pagico Plus, Pagico Mobile brings massively improved user experience with a long list of new features to help you be more productive with your mobile devices. Highlight improvements include a brand-new UI that is rebuilt from the ground up, a substantially improved Agenda view, rapid list writing, compatibility with iPhone X, and a lot more! A comprehensive list of changes will be covered as we get closer to the launch date. For now, we’d like to give a special thank to all the beta testers who took the time to try out early builds and report issues to us. We certainly couldn’t have done this without your help! Pagico for your computers has been getting lots of updates lately, so it’s time for us to show some love to Pagico on your mobile devices. We’ve been busy with a brand new version of the mobile app, called Pagico Mobile, and we think you will like it very much.